These days we are all familiar with issues about disability access for the elderly and for those in wheelchairs. 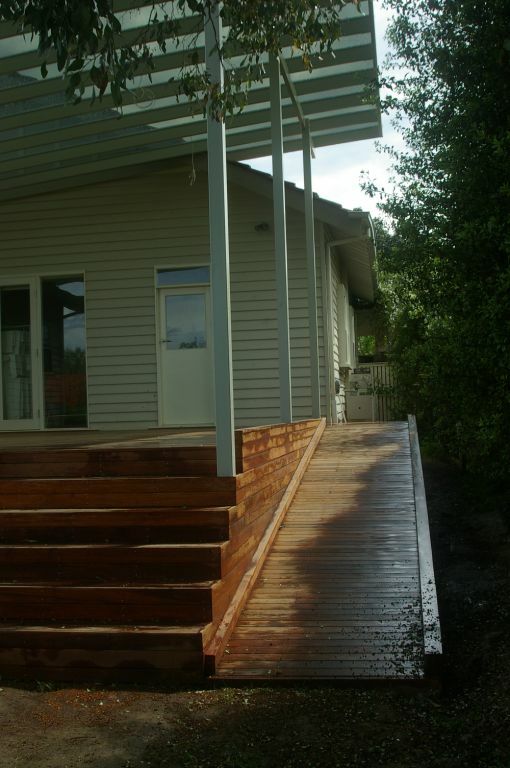 Ramps are an important aspect of building design for over 55’s and for public buildings. Most states have disability policies addressing this. But have you ever considered the general usability of a ramp in your home? For prams and strollers, for bikes and scooters, for old lame dogs and washing trolleys – ramps really are for everybody! If you have young children a ramp for access brings immense peace of mind – alleviating those nerve wracking moments of watching your determined toddler head towards the back stairs, forcing you to drop what you are doing to ensure their safe decent. 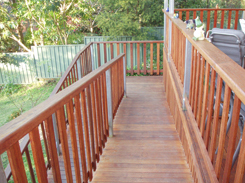 A convenient alternative to stairs, Outside Concepts Sydney West can advise you on the gradient, direction and suitable surface for your ramp. Ramps at lower gradients are safer though the extended distance travelled for the height means that a good designer is of paramount importance. This will ensure your ramp is carefully designed with returns, landings and appropriate framing all factored in. A well-designed ramp is the perfect partner to an outdoor deck or patio, so contact Outside Concepts today to discuss your outdoor building needs.